Q: I’m a wheelchair user and athlete and am looking to buy a used car that will have enough space to transport our sports equipment (racing wheelchair, hand cycle, regular bicycle and everyday wheelchair) and is lower to the ground (to make it easier for me to get in and out of it). 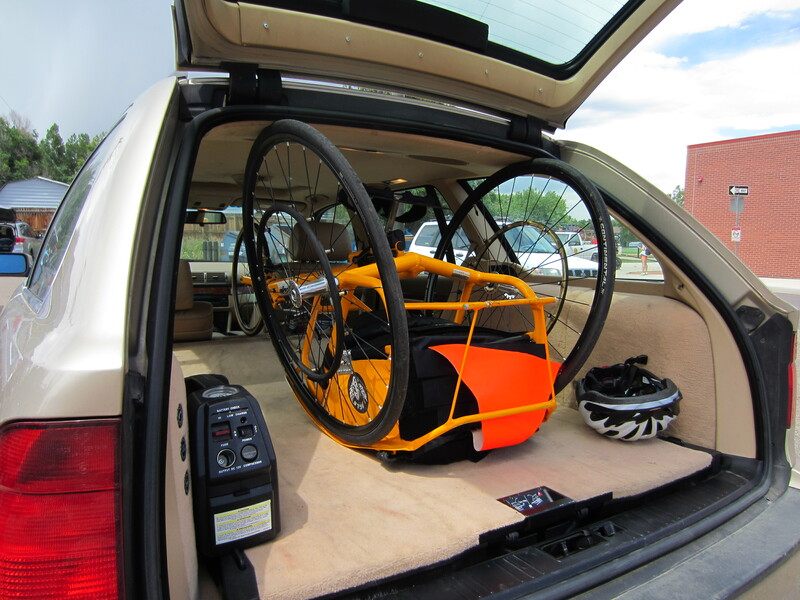 Is there a sports wagon that has enough cargo space, or do you think we need to look to a sport-utility vehicle or minivan? A: A minivan would be the easiest option for your needs, since they generally ride low like cars and have the most usable cargo space. They are especially well-suited to carrying bikes and other wheeled sports equipment that can be too bulky to fit easily in smaller vehicles without extensive disassembly. There are a lot of used models available, so the range of choices should be broad. Still, I understand the wish to stay with a sport wagon. You might try the Volvo V70, Saab 9-5 or Dodge Magnum. The caveat: Wagons tend to fill up more quickly than you might expect.